The perioperative immune status of colorectal robotic surgery (RS), laparoscopic surgery (LS), and open surgery (OS) patients has not been compared. Our aim was to evaluate perioperative stress and immune response after RS, LS and OS. 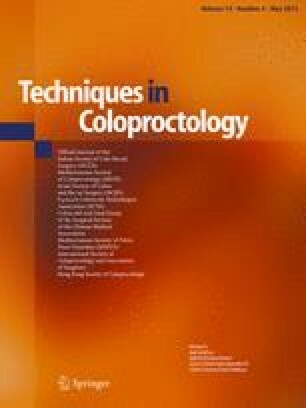 This prospective study included 46 colorectal surgery patients from the Department of Surgical Oncology of the University of Tokyo Hospital. Peripheral venous blood samples were obtained preoperatively and on postoperative days 1, 3, and 6. We evaluated expression of HLA-DR (marker of immune competence), C-reactive protein (CRP) levels, and lymphocyte subset counts (natural killers, cytotoxic T cells and helper T cells). Fifteen, 23, and 8 patients underwent RS, LS and OS, respectively. HLA-DR expression was the lowest on day 1 and gradually increased on days 3 and 6 in all the groups. There was no significant difference in postoperative HLA-DR expression between the RS and LS group. However, on day 3, HLA-DR expression in the RS group was significantly higher than in the OS group (p = 0.04). On day 1, CRP levels in the LS group were significantly lower than in the RS group (p = 0.038). There were no significant perioperative changes in the lymphocyte subset cell count between the three groups. Perioperative surgical stress, as evaluated by immunological parameters, was comparable between robotic and laparoscopic surgery and higher with open surgery. Robotic surgery may be an alternative to laparoscopic surgery, as a minimally invasive surgery option for colorectal cancer.